All The World's A Fomite: A pagan ritual for your thoughts? 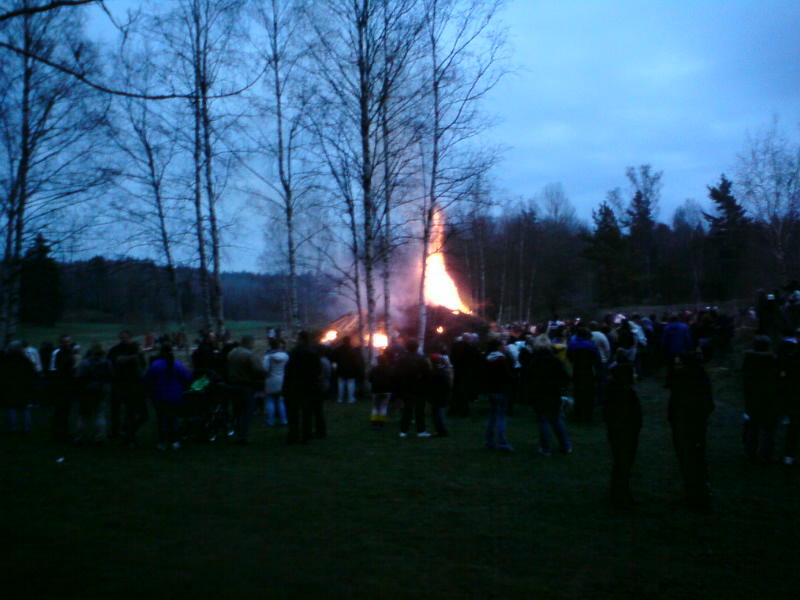 Never bothered with Valborg before because I figured it was just another excuse for the young 'uns to get drunk. However, when I read in the local paper that there would be a celebration just minutes away from the apartment, I thought that I might as well check it out. The big niece joined me on this expedition. They were supposed to light the bonfire at 2015, so we left the house shortly before 8. When we got there, the torchlight procession had begun and we hung around for 15 minutes or so waiting for the fire to grow.